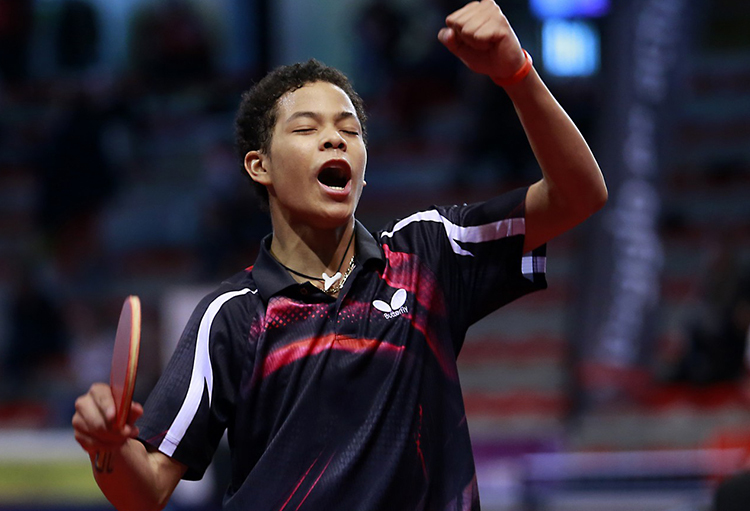 Alexandre Cassin created history in this year's French National Table Tennis championship by becoming the youngest player to play the advanced rounds of the Men's Singles competition. Cassin is just 14 years old and the European Cadet Champion. He even upset Robinot, a world class player. Incidentally, Robinot had defeated Ma Lin a couple of years back as a junior in the 2011 Swedish Open Table Tennis tournament. 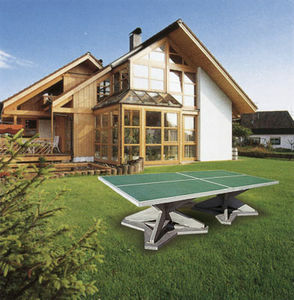 Kit up for this season with top choice rubbers of Table Tennis stars! Always choosing the rubbers with best speed-spin-control that suits your special playing style at terrific discount prices. 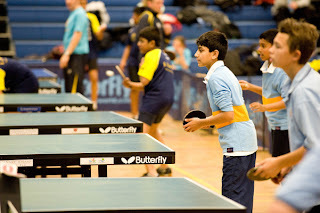 We offer some of the best rates in India to encourage players and afford Table Tennis equipment. Write a mail to editor@tabletennisbug.com or contact (+91) (0) 9822749251 to avail the limited sale offers. 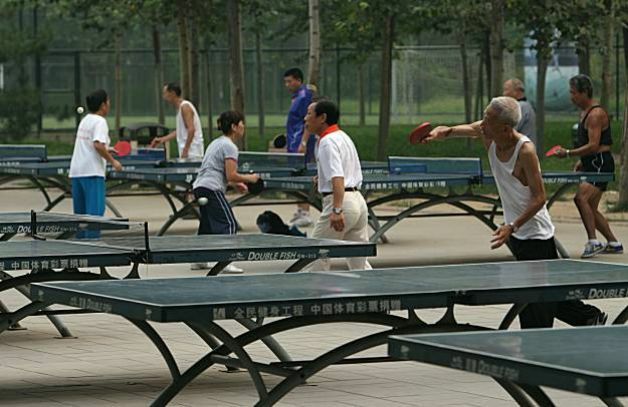 Good morning Table Tennis in a public park, some cooler weather. 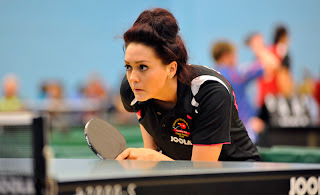 Jessica Dawson is known for her tenacious attacking play in the British Table Tennis circuit. After doing stupendously well for Ormesby, she has moved to Draycott. 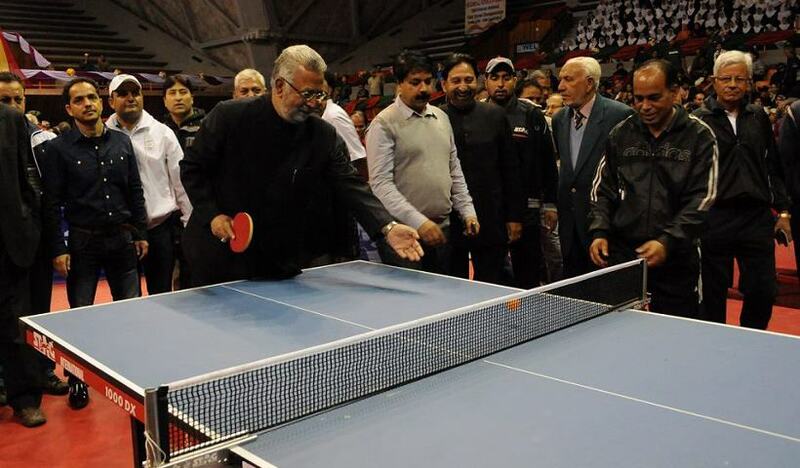 The Indian Veterans Nationals Table Tennis tournament has started at Srinagar. Team events are currently on. Most singles events will start tomorrow. Photo: Inauguration of the tournament. Sharath and Shamini are representing India at the Asian Cup Table Tennis Championships 2013 at Hong Kong. The tournament started today and there are early reports that K Shamini won her first group match. Zhang Jike and Seo Hyun Deok won the Men's doubles title at the Korean open World Tour Table Tennis tournament. In the finals, they beat Ma Long and Lee Jung Woo. The Korean Open was a pioneer tournament in a very important way since Chinese players combined with players from other countries. For example. 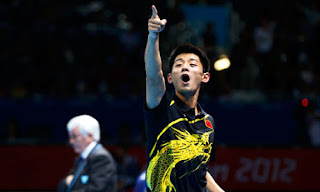 Zhang Jike with Seo Hyun Deok, Ma Long with Lee Jung Woo, Xu Xin with Adrien Mattenet, and Wang Hao with Jung Youngsik. China is trying to encourage other countries to do well and this attempt one of the many that China will roll out in the near future. Olympic and World Champion, Zhang Jike and Chinese head coach, Liu Guoliang are trying to promote Table Tennis in a big way in general. The annual Table Tennis coaching camp will be held from 8 to 27 April 2013 in Panjim, Goa. 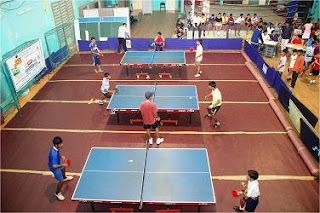 Panjim Table Tennis Club in association with Sports Authority of Goa will be organizing a Summer Table Tennis Coaching Camp at Indoor Stadium, Campal-Panaji. 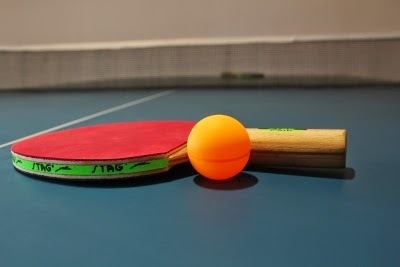 Sportsacorp is organizing an inter-corporate Table Tennis tournament at AWA Table Tennis Academy on 6th and 7th April 2013. Singles, doubles and team events will be held. 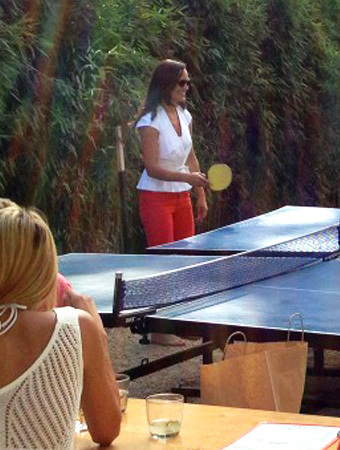 Pippa Middleton challenged Mayor Boris Johnson to a game of what he calls "whiff-waff" (a traditional name for Table Tennis in Britain). One of Johnson's intentions is to show Pippa the 22 million pound Sports Legacy Fund and its activities. Pippa has been an under 13 champion in Table Tennis. 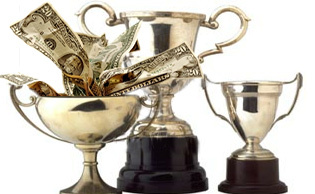 The LATTF league spring matches is underway and will run from March to June 2013. 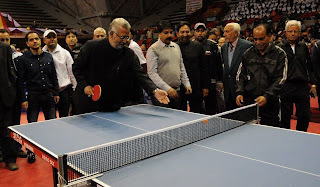 Please write to editor@tabletennisbug.com if you are looking for details. 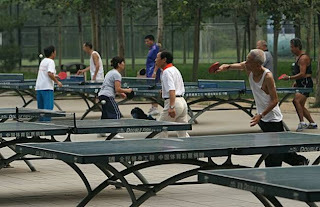 Ma Long's first Table Tennis encounter? 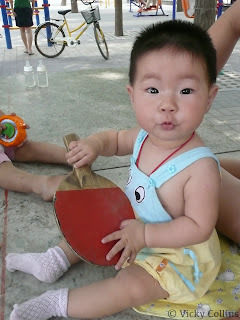 Is this how early they start Ping Pong in China? Not so far from the truth perhaps! It's never too early to start Table Tennis in China. Bluefire M2 giving Tenergy great competition! Now available with us at lowest price (rate)! Waldner, Ovtcharov, Persson, and Baum have played with Donic equipment. Now here is a great rubber with more qualities! The blue miracle. The new DONIC Bluefire is a completely new rubber development offering top speed and spin as a result of the perfect combination of the large pored blue sponge with an extremely spinny top surface rubber. Bluefire M2 has a medium hard sponge which results in excellent balance between speed, catapult effect and feeling. Recommended for offensive players that like to play with a slightly softer rubber with a lot of spin and still fast.